The scores have been counted and checked for our first ever Mersey Weaver District Inter-Troop shooting competition. Read on to find out the results. 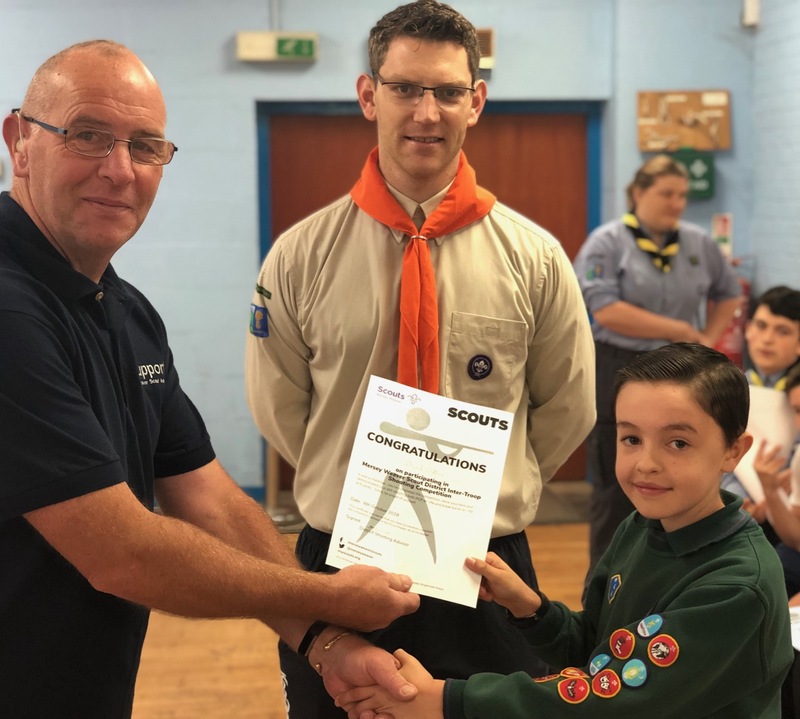 Thirty seven scouts in ten teams from 7 different Troops from across the District participated in the competition which was organised and run by the Mersey Weaver Target Sports Scout Active Support Unit (TSASU). 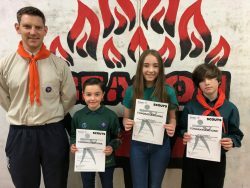 “As an ASU, we were pleased that we could put on this event for Scouts across the District and even more pleased with the very positive feedback from the Scouts who took part” said Paul Cummings, TSASU member who helped run the competition. 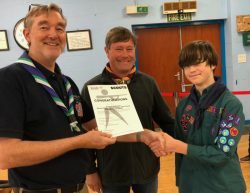 “We have a great pool of talent to move forward in selecting a team to represent Mersey Weaver at the Cheshire County Inter-District shooting competition to be held in November” commented Colin Chambers, District Shooting Advisor, who organised the competition. “Also by taking part, the Scouts achieved part of the requirement for their Master-at-Arms badge and for some it also counted towards their Personal Challenge badge on their way to achieve the Chief Scout Gold Award”. 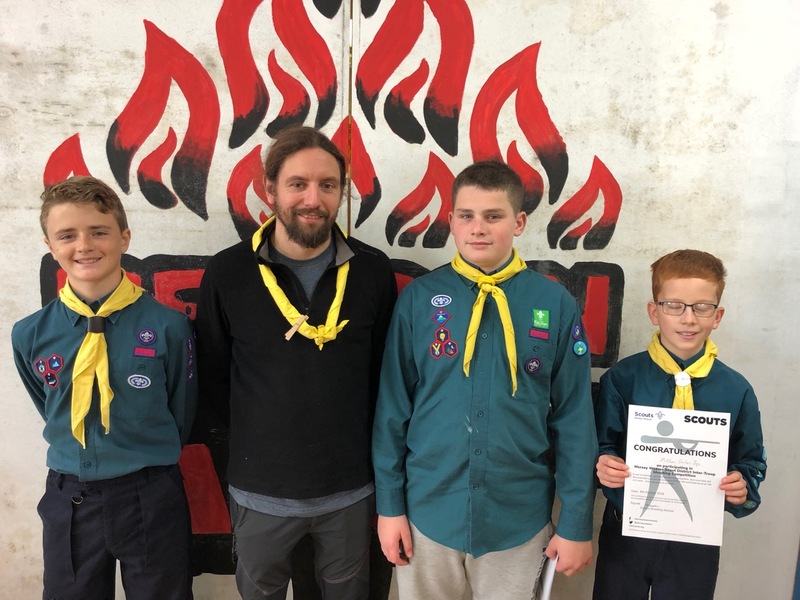 Each Scout had to shoot two different types of air rifle twice at 5 bull targets from a distance of 6 yards. The highest 3 scores of each rifle type from each team were used to calculate the team’s score. Winners: 4th Frodsham “A”: Daniel, Erin and Kian with Assistant Scout Leader Chris. 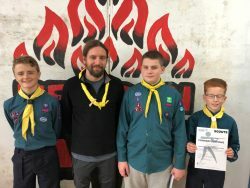 Runner-up: 1st Moore A: Oliver, Lucas and Matthew with Scout Leader Andy. The Under 12 age group top scorer was Daniel from 4th Frodsham with a score of 80. Runner-up was Toby (4th Frodsham) with a score of 76. The 12 to 141/2 age range top scorer was Oliver from 1st Moore Scout Group with a score of 74. Runner-up was Ben (1st Newton & Kingsley) with a score of 72.